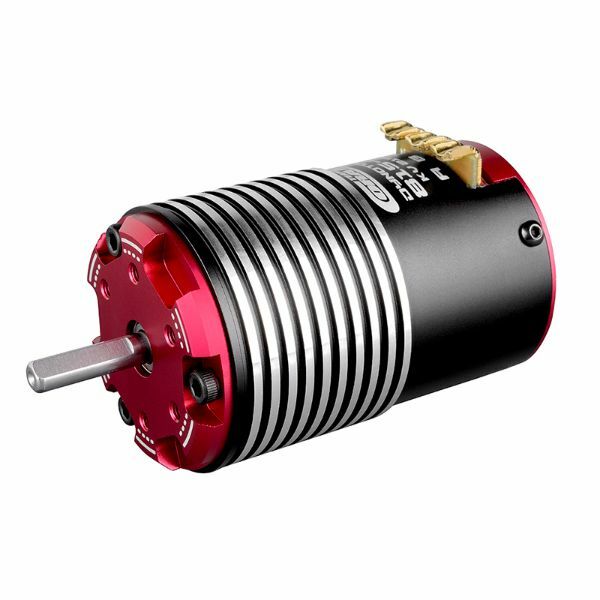 The Team Corally 815-4 Pole 1/8 class brushless motor series is a high performance motor line developed using the latest technologies. We at Team Corally's R-D department only have highest efficiency and maximum power in mind, when we designed this line of 1/8 Class motors. They feature high quality oversized bearings, sintered Neodymium magnets and a superior electromagnetic design. The result speaks for itself: impressive performance, more power, more top-end and this all keeping the motor temperature lower for maximum efficiency.